The relatively strong performance of the radical rightwing political party Svoboda in the 2012 parliamentary elections surprised many political scientists, even those whose research is focused on contemporary Ukrainian politics. Indeed, the 10.44 per cent of the popular vote that Svoboda obtained was the best result for a Ukrainian far-right party since the demise of the Soviet Union in 1991. Moreover, even if individual far-right politicians managed to become members of the Ukrainian parliament before 2012, their numbers were never sufficient to form a far-right parliamentary group. Svoboda became the first such party to achieve this. Its success in the 2012 parliamentary elections followed strong performances in the regional elections in 2009 and 2010. However, this, together with the obvious ethno-nationalist nature of Svoboda’s ideology, could hardly be interpreted as an indication of the growth of xenophobia or racism in Ukrainian society. It was a complex combination of several factors that led to the outcome of elections in 2012. First of all, Svoboda was considered one of the very few Ukrainian parties able to lay claim to an ideology of any kind whatsoever. The problematic nature of this ideology, namely its radical rightwing orientation, was of little significance to many Svoboda voters. In a climate dominated by what was perceived as the widespread cynicism of all established political parties and where spin-doctoring had long been a substitute for real political ideas, Svoboda had a clear advantage: it stuck to its guiding principles established in the mid-1990s and its leaders rarely deviated from the party line. Second, Svoboda was seen as a new and radical political force, a real alternative to the existing opposition to the Party of Regions and president Viktor Yanukovych, which consisted at the time of Fatherland (Bat’kivshchyna), formally led by Oleksandr Turchynov and Arseniy Yatsenyuk in lieu of the then imprisoned Yulia Tymoshenko, and Our Ukraine, headed by Viktor Yushchenko. There was a certain sense of weariness among voters: politicians from Fatherland and Our Ukraine had already been in power, and their performance was interpreted as disappointing. 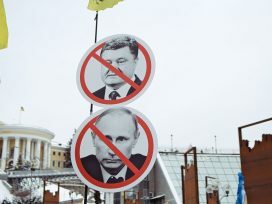 The same demand for new politics was one of the determinants of the electoral success of Vitali Klitschko’s UDAR (Ukrainian Democratic Alliance for Reform), which had not previously been represented in the Verkhovna Rada and obtained 13.96 per cent of the vote in 2012. Third, Svoboda significantly benefitted from the decline of the mainstream nationalist party Our Ukraine and the increasingly unpopular Yushchenko. The downfall of Yushchenko and his party had created a vacant rightwing niche in the Ukrainian political spectrum that Svoboda managed to fill. Moreover, Svoboda did not have to contest this niche with any other nationalist parties, which had either discredited themselves or declined as organizations. Fifth, Svoboda’s cooperation with mainstream political parties within the framework of the Committee against Dictatorship, which was created in response to the political persecution of Tymoshenko, and other structures opposing Yanukovych contributed to its political and social legitimacy and, thus, to its acceptance by the public. Moreover, in the run-up to the elections, Svoboda declared that it would work together with Fatherland and UDAR in parliament. Hence, the voters who opposed the Party of Regions and the Communist Party of Ukraine could choose between the moderates (Fatherland, UDAR) and radicals (Svoboda), without any fear of splitting the vote for the opposition. According to Cas Mudde, radical rightwing populism is “a combination of three core ideological features: nativism, authoritarianism and populism”.7 Nativism, in Mudde’s terms, can be understood as “an ideology, which holds that states should be inhabited exclusively by members of the native group (‘the nation’) and that non-native elements (persons and ideas) are fundamentally threatening to the homogenous nation-state”.8 Svoboda’s ideology displays all three features, but its nativism overlaps with the quest for national liberation. In this sense, Svoboda can be – to a certain degree – compared to the far-right Vlaams Belang (Flemish Interest) in Belgium. This party’s ideology also has a dual character: it includes the three radical rightwing features, but its nativism overlaps with a separatist vision for Flanders. 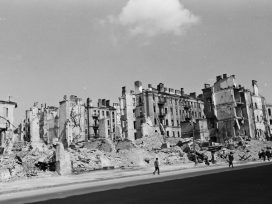 Svoboda’s national liberationist ethos, however, was always a product for domestic consumption, and there is no evidence that Svoboda has ever cooperated with any non-Ukrainian anti-imperialist movement or party. At the same time, Svoboda has always strived to cooperate with European radical rightwing parties and used its European connections for public relations, image and propaganda purposes. Despite the fact that Euronat was a short-lived association, Svoboda maintained contacts with Front national. It was Front national’s image-makers who offered advice on how to turn the SNPU into a more respectable party. SNPU leaders “rebranded” their party accordingly in 2004. January 2010 was a busy month for Svoboda’s international relations. The French Front national’s Thibaut de La Tocnaye visited Kyiv and took part in a joint conference with Svoboda’s leadership, and a few days later Tyahnybok went to Strasbourg to take part in the AENM’s first press conference. By that time, the AENM had expanded to eight parties and included, in addition to the five founding members, the British National Party (BNP), Spain’s Movimiento Social Republicano (Republican Social Movement) and Portugal’s Partido Nacional Renovador (National Renovator Party). The joint declaration of the AENM called for the “creation of a Europe of free, independent and equal nations in the framework of a confederation of sovereign nation-states, refraining from taking decisions on matters properly taken by states themselves”.16 Later in 2010, Svoboda’s representative went to Graz, Austria, to meet Armin Sippel of the FPÖ and Gerald Grosz of the Bündnis Zukunft Österreich (BZÖ, or, “Alliance for the Future of Austria”).17 Since then, Svoboda’s relations with the European far Right were relatively stable up until the beginning of 2013. In January 2013, however, Mateusz Piskorski, a former member of the Polish national-populist Samoobrona (Self-Defence) told one Ukrainian media outlet that Svoboda had been excluded from the AENM, because Svoboda appeared to display “some kind of a pathology of a Hitlerite type” and this party had “no friends in Europe, with the exception of perhaps German neo-fascists”.18 Piskorski’s description of Tyahnybok’s party was obviously an exaggeration, as not only did Svoboda cooperate with several European radical rightwing parties (and, as noted above, it cooperated with the Front national even during the SNPU days), but also could not be considered a neo-Nazi party. while Gollnisch himself never commented publicly either on Piskorski’s or Svoboda’s statements. In March 2013, the AENM’s treasurer and Jobbik MEP Béla Kovács drew a line under the confusion concerning Svoboda’s relations with the Alliance. Kovács wrote an official letter to Tyahnybok, in which he expressed in the strongest terms his indignation over the fact that Svoboda’s members had allegedly organized rallies against ethnic Hungarians in Ukrainian Carpathian Ruthenia, part of which once belonged to Hungary.21 Kovács ended his letter by informing Tyahnybok that Svoboda’s observer status in the AENM had been terminated and they had no intention to cooperate with Svoboda in any way whatsoever. After Svoboda had been deprived of observer status in the AENM, Tyahnybok’s party started looking for new connections in the EU. A few days after Kovács’s letter, Taras Osaulenko, head of Svoboda’s international relations, took part in the Vision Europa conference organized by Svenskarnas parti (Party of the Swedes) in Stockholm. Svenskarnas parti is usually described as a fascist/neo-Nazi organization;22 it was established in 2008 by members of the now dissolved Nationalsocialistisk front (National Socialist Front) and is led by Stefan Jacobsson. The main speaker at the conference appeared to be Udo Pastörs, deputy leader of the most significant neo-Nazi party to emerge since 1945, the Nationaldemokratische Partei Deutschlands (NPD, or, National Democratic Party of Germany). Another speaker at the conference was Roberto Fiore, leader of the Italian fascist Forza Nuova (“New Force”). European guests present included: Jonathan Le Clercq of the French Terre et Peuple (Land and People) association; Daniel Carlsen, leader of Danskernes Parti (Party of the Danes); and Gonzalo Martín Garcia, head of international relations of the Spanish Democracia Nacional (“National Democracy”). Supposedly, the new group was to incorporate the organizations that had taken part in the Vision Europa conference in Stockholm. In the interim, on 29 May 2013, another Svoboda MP, Mykhaylo Holovko, visited the Landtag of Saxony to speak to the NPD. 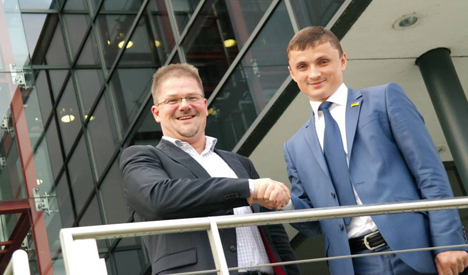 Holovko conveyed greetings from Tyahnybok and Serhiy Nadal, Svoboda’s mayor of the Ukrainian city of Ternopil. Svoboda and the NPD agreed to strengthen bilateral relations between the parties and parliamentary groups. It remains to be seen whether Svoboda’s visits to its EU-based counterparts contribute to the creation of a new pan-European ultranationalist movement. None of the parties represented at the Vision Europa conference is a member of the AENM, while Fiore’s Forza Nuova is unlikely to cooperate with the AENM member from Fiamma Tricolore, from which it split in 1997. Fiore’s previous “ecumenical” fascist project, the European National Front, which united representatives from Forza Nuova, the NPD, the Romanian Noua Dreapta (New Right), the Greek Golden Dawn and the Spanish Falange, has failed. Therefore, it seems plausible to suggest that Svoboda’s European counterparts outside the AENM need a new umbrella organization. The following three explanations seem the most worthy of consideration: (1) Svoboda views Ukraine’s European integration as a definitive turn away from all Russia-led Eurasian integration projects, (2) the party has recognized the pro-European attitudes of its voters, and (3) Svoboda views Euromaidan, which quickly evolved into a revolution,28 as a platform for self-promotion and propaganda. Let us consider these explanations in more detail. It is, therefore, hardly surprising that Svoboda enjoyed the support of the most pro-European electorate among any Ukrainian party elected into the Verkhovna Rada in 2012. According to the opinion poll conducted by the Ilko Kucheriv Democratic Initiatives Foundation,33 71.4 per cent of Svoboda’s voters were in favour of Ukraine’s integration with Europe. At the same time, the numbers for the electorates of UDAR and Fatherland were 69.5 per cent and 63.8 per cent correspondingly. When asked whether they considered themselves Europeans, 51.2 per cent of Svoboda’s voters gave a positive reply; the numbers for the electorates of UDAR and the Fatherland are 44.5 per cent and 40.6 per cent. Moreover, when asked to choose three out of eight options in a reply to the question “What is needed for you to feel a European”, 46.2 per cent of Svoboda’s voters chose “To respect democratic values and human rights”, while 31.7 per cent chose “To have fair democratic elections”. The numbers for the electorates of the Fatherland and UDAR were 39.5 per cent and 38.4 per cent for the former option, and 21.9 per cent and 19.2 per cent for the latter. It may seem surprising or even confusing that supporters of the far-right party at the 2012 parliamentary elections turned out be more pro-European and pro-democratic than voters for the two democratic parties. However, this problem appears confusing only at first sight: for many Ukrainian voters, the rejection of Russia-led integration projects was underpinned by the rejection of authoritarianism and the collapse of the rule of law usually associated with the contemporary Kremlin’s policies. Thus, Svoboda’s radically negative attitudes towards Putin’s Russia were re-interpreted by many Ukrainian pro-democratic voters as radical opposition to authoritarianism and backwardness. Svoboda’s leadership could not ignore the distinctly pro-EU stances of the majority of its voters, and abandoned the anti-EU rhetoric that might have alienated most of its electorate. At first, Svoboda resolutely plunged into the revolution. The courage and valour that their members (but not only they) showed during the defence of Independence Square – the heart of the revolution – against the Berkut riot police on 9 December 2013 contributed to the morale of the protesters. 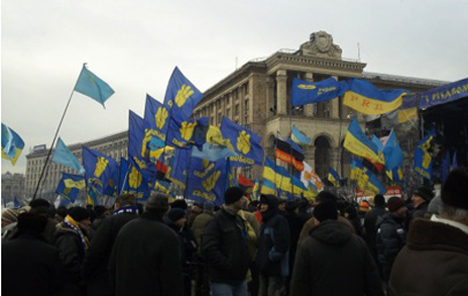 However, Svoboda’s fighting units were reluctant to take part in the most significant clashes with the police forces between 19 and 22 January and 18 and 19 February 2014, although individual members of the party did participate here too. For the most part, Svoboda made a negative impact on the revolution. The party, and especially its paramilitary wing called C14 under the leadership of the notorious neo-Nazi Yevhen Karas, became involved in a number of divisive activities. Displaying racist banners in the occupied Kyiv City State Administration, attacking journalists, volunteer medical workers and other Euromaidan activists, demolishing the Lenin monument, staging a torch-lit march commemorating controversial Ukrainian ultranationalist Stepan Bandera – all these activities damaged the unity, as well as the image, of Euromaidan.38 Furthermore, according to documents revealed by Hennadiy Moskal, the Fatherland MP and former deputy chairman of the Security Service of Ukraine (SBU), the security services actively recruited agents and informants among many parties and movements, and from Svoboda in particular.39 Out of 19 agents and informants presumably recruited by the SBU, nine were members of Svoboda. Since 2010, the Ukrainian TV networks controlled by Yanukovych’s presidential administration promoted Svoboda in order to damage the democratic opposition to this corrupt authoritarian regime. At the same, Svoboda’s entry into the Verkhovna Rada in 2012 was determined, first and foremost, by its image as the most radical but, at the same time, legitimate opposition party among the political forces opposed to Yanukovych and Azarov’s government. As a parliamentary party, there was a good chance that Svoboda would shift from the far Right to the centre Right and fully secure the niche that had been abandoned by the moderate rightwing Our Ukraine. But Svoboda apparently preferred to keep a foot in both camps. On the one hand, it seemed to conform to the general agenda of the national democratic opposition. On the other, as revealed by Svoboda’s growing relations with Europe’s most extreme rightwing organizations and its admission of the neo-Nazi movement C14, Tyahnybok’s party expressed no desire to leave the far-right end of the political spectrum. Svoboda’s ambivalent positioning has become destructive for the party, especially during the series of what so far seem to be the most dramatic events in contemporary Ukrainian history – Euromaidan. As a party close to the democratic opposition, it damaged the unity and image of the revolution. As an allegedly radical force, it turned out to be too moderate in the confrontation with Yanukovych’s regime: when non-partisan protesters became radicalized in response to the regime’s brutality and demanded bold and direct action, Svoboda failed to rise to the challenge. Partly because of this, the radical protesters’ sympathies shifted to Pravy Sektor (the Right Sector), a non-party-political coalition of rightwing groups led by Dmytro Yarosh that constituted a part of the generally non-ideological Maidan Self-Defence movement. While it is perhaps still too early to draw any definite conclusions, the Ukrainian revolution may coincide with Svoboda’s swan song. With the demise of Yanukovych’s regime, Svoboda has lost its most important source of negative voter mobilization. 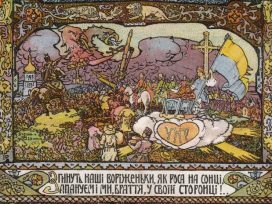 Moreover, although the revolution was painted in ethnic Ukrainian colours, the emergent new nation, having gone – both metaphorically and literally – through fire and water, reveals the traits of an inclusive civic-republican, rather than an exclusivist ethnic, nation. 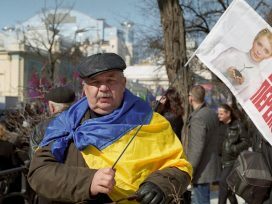 It is hard to imagine significant public acceptance of Svoboda’s exclusivist ethnic rhetoric after the tragic deaths of ethnic Armenian, Belarusian, Russian, Jewish and Georgian protesters, as well as considering the fact that representatives of so many national minorities, including the Crimean Tatars, fought against Yanukovych’s regime. However, Svoboda’s political future clearly depends on post-revolutionary developments in Ukraine. If Ukraine, with the help of the international community, is unable to stop the Russian invasion, Ukrainian patriotism and national liberation ethos will obviously grow stronger, and Svoboda may use this opportunity to regain its support. The word "Svoboda" translates as "freedom". For more on the electoral insignificance of the Ukrainian far Right, see Andreas Umland, Anton Shekhovtsov, "Ultraright party politics in post-Soviet Ukraine and the puzzle of the electoral marginalism of Ukrainian ultranationalists in 1994-2009", Russian Politics and Law 51, no. 5 (2013): 33-58. On the increased media visibility of Svoboda in the period since 2010 see Anton Shkehovtsov, "Vseukrainskoe ob'yedinenie 'Svoboda': problema legitimnosti bor'by za vlast'", Forum noveyshey vostochnoevropeyskoy istorii i kul'tury 10, no. 1 (2013): 22-63. See a more detailed analysis of the factors of Svoboda's relative success at the 2012 parliamentary elections in Andreas Umland, "A typical variety of European rightwing radicalism? ", Russian Politics and Law 51, no. 5 (2013): 86-95; Viacheslav Likhachev, "Social-nationalists in the Ukrainian parliament: How they got there and what we can expect of them", Russian Politics and Law 51, no. 5 (2013): 75-85; Anton Shekhovtsov, "The All-Ukrainian Union 'Freedom' (Svoboda) at the 2012 parliamentary elections and a longing for a nationalizing state", forthcoming. On the "internal colonization" of Ukraine see Mykola Ryabchuk, "Ukraina: ne Afryka. Ale scho? ", in Zbruc, zbruc.eu/node/10508 (accessed 16 February 2014). "Istoriya VO 'Svoboda'", Svoboda, www.svoboda.org.ua/pro_partiyu/istoriya/ (accessed 16 February 2014). See the analysis of Svoboda's victory at the early election in the Ternopil oblast in Anton Shekhovtsov, "From para-militarism to radical rightwing populism: The rise of the Ukrainian far-right party Svoboda", in Ruth Wodak, Brigitte Mral, Majid KhosraviNik (eds), Right Wing Populism in Europe: Politics and Discourse, Bloomsbury Academic, 2013, 256-58. Since Ukraine is not a member of the EU, Svoboda could not enjoy the full membership in the AENM. Oksana Shkoda, "'Svoboda' skryvaet svoy proval v Yevrope", 2000, January 2013, 2000.net.ua/2000/derzhava/ekspertiza/87027 (accessed 16 February 2014). "Kovács Béla nyílt levele az ukrán magyargyulölokhöz", Kuruc.info, 22 March 2013, kuruc.info/r/6/109676/ (accessed 16 February 2014). This information was confirmed to me in an email from Jobbik's Attila Bécsi where he said: "Svoboda is no longer a member of the AENM because of its anti-Hungarian statements". "Delehatsiya 'Svobody' vidvidala Rym na zaproshennya italiys'koi partii 'Fortsa nova'", Svoboda, 25 April 2013, www.svoboda.org.ua/diyalnist/novyny/038650/ (accessed 16 February 2014). "Europa delegazione di FN incontra rappresentanti di Svoboda a Kiev", Forza Nuova, www.forzanuova.org/comunicati/europa-delegazione-di-fn-incontra-rappresentanti-di-svoboda-kiev (accessed 16 February 2014). Svoboda was not the only far right organization that took part in Euromaidan. Other far right organizations' involvement requires a separate discussion and is not analysed here. 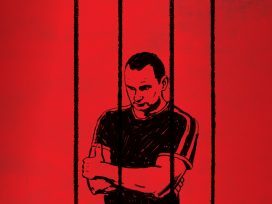 Andriy Illenko, "Natsiya chy koloniya? ", Svoboda, 24 July 2010, www.svoboda.org.ua/dopysy/dopysy/015905/ (accessed 16 February 2014). Anton Shekhovtsov, "The Ukrainian revolution is European and national", Eurozine, 13 December 2013, www.eurozine.com/articles/2013-12-13-shekhovtsov-en.html (accessed 16 February 2014). Barbara Lewis, Adrian Croft, "EU leaders give Kiev until May to prove it wants to look West", Reuters, 25 February 2013, www.reuters.com/article/2013/02/25/us-eu-ukraine-idUSBRE91O0U420130225 (accessed 16 February 2014). "Association Agreement with EU to develop Ukraine in general -- Austrian ambassador", Ukrinform, 8 October 2013, www.ukrinform.ua/eng/news/association_agreement_with_eu_to_develop_ukraine_in_general___austrian_ambassador_310813 (accessed 16 February 2014). "Ukraina ne mozhet byt' odnovremenno i v ES, i v Tamozhennom soyuze, podtverdil Putin", ITAR-TASS, 25 October 2013, itar-tass.com/old-ekonomika/711133 (accessed 16 February 2014). "Oleh Tyahnybok: 'Mytnyy soyuz zamist' 'rayu dlya Ukrainy' poklykanyy vidrodyty rosiys'ku imperiyu v novomu-staromu sovyets'komu soyuzi", Svoboda, 18 December 2012, http://www.svoboda.org.ua/diyalnist/novyny/035026/ (accessed 16 February 2014). "Stavlennya hromads'kosti do yevropeys'koi intehratsii Ukrainy", Democratic Initiatives Foundation, www.dif.org.ua/ua/polls/2013-year/mlfgblfbllgmkl.htm (accessed 16 February 2014). "Elektoral'ni namiry vybortsiv Ukrainy shchodo vyboriv do Verkhovnoi Rady", Kyiv International Institute of Sociology, 27 November 2013, www.kiis.com.ua/?lang=ukr&cat=reports&id=208&page=1&y=2013&m=11 (accessed 16 February 2014). "Elektoral'ni nastroi naselennya Ukrainy, berezen' 2013", Kyiv International Institute of Sociology, 15 March 2013, www.kiis.com.ua/?lang=ukr&cat=reports&id=148&page=1&y=2013&m=3 (accessed 16 February 2014). Andreas Umland, "How spread of Banderite slogans and symbols undermines Ukrainian nation-building", KyivPost, 28 December 2013, www.kyivpost.com/opinion/op-ed/how-spread-of-banderite-slogans-and-symbols-undermines-ukrainian-nation-building-334389.html (accessed 16 February 2014). "Lviv students prevent Svoboda leader from addressing 20,000-strong rally", ZIK, 24 November 2013, zik.ua/en/news/2013/11/24/lviv_students_prevent_svoboda_leader_from_addressing_20000strong_rally_441901 (accessed 16 February 2014). Tatyana Bezruk, "Po odnu storonu barrikad: vklyuchennye nablyudeniya o radikal'nykh pravykh i levykh na kievskom Evromaidane", in Forum noveyshey vostochnoevropeyskoy istorii i kul'tury, no. 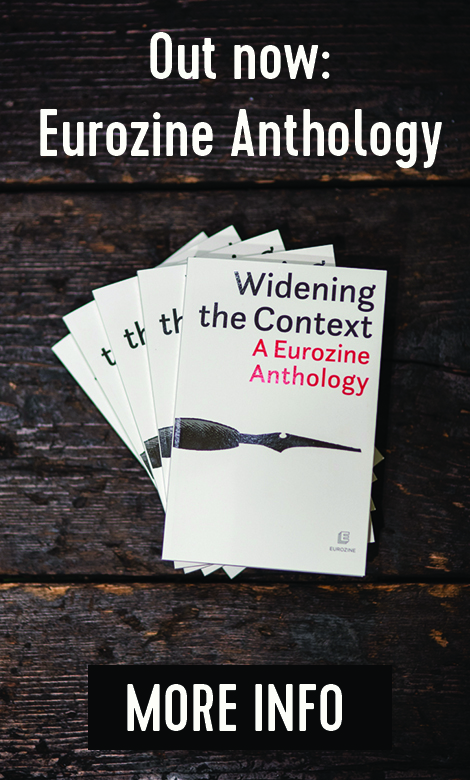 20 (2014), forthcoming. Ostap Drozdov, "Ruka zdryhnulas", Dzerkalo tyzhnya, 14 February 2014, gazeta.dt.ua/internal/ruka-zdrignulas-_.html (accessed 16 February 2014). "'Nastroi Ukrainy' -- rezul'taty spil'noho doslidzhennya KMIS ta SOTSIS", Kyiv International Institute of Sociology, 7 February 2014, www.kiis.com.ua/?lang=ukr&cat=reports&id=227&page=1 (accessed 16 February 2014).